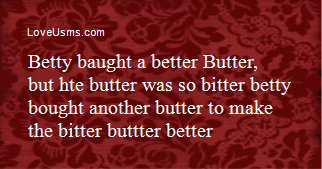 where”s the peck of pickled peppers Peter Piper picked? See”s saw would not have sawed Soar”s seesaw. 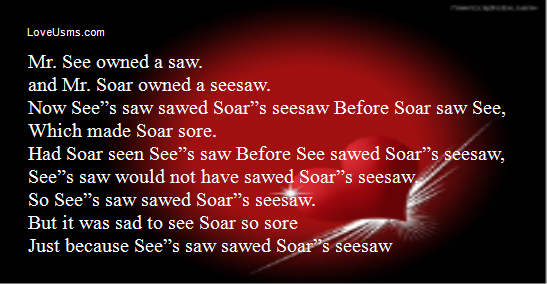 So See”s saw sawed Soar”s seesaw. the doctor doctor the doctor the way the doctor he is doctoring doctors? Or does the doctor doctor the way the doctor who doctors doctors? 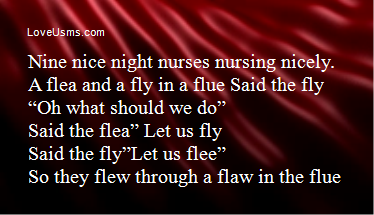 “When a doctor falls ill another doctor doctor”s the doctor. his inside inn with his inside outside his inside inn. 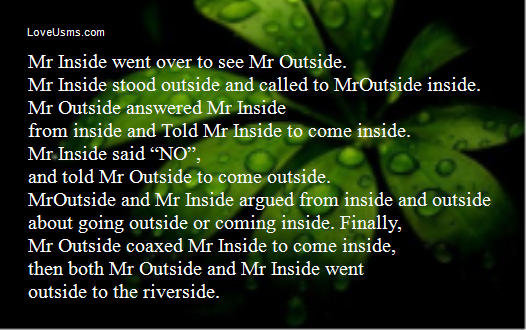 from inside and Told Mr Inside to come inside. and told Mr Outside to come outside.